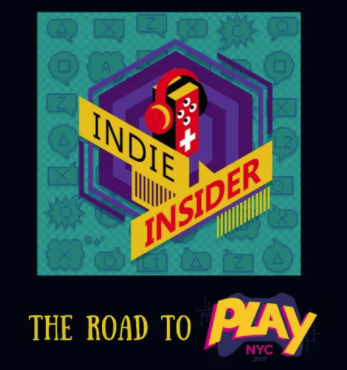 Kati sat down with Logan Schultz from Indie Insider podcast to talk about being an art nerd, making a living as a creative in New York, creating art for games, being married to your business partner, and, of course, Mama Hawk. Her interview starts at 1:10. We somehow ended up as part of a VR super team that included Moshe Ben-Zacharia, Jonathan Oglevie, Rachél Bazelais, Scott Tongue, and neuroscientist Wick Perry for the 2017 Games for Change “VR Brain Jam”. As the creator of the impressive “Body VR”, Mo quickly emerged as the tech lead for the team. After a weekend of brain chemistry crash courses, too much Mexican food and candy, and lots of new friendships, the “Neuromancers” were chosen by their piers and the judges as the winners of the competition. 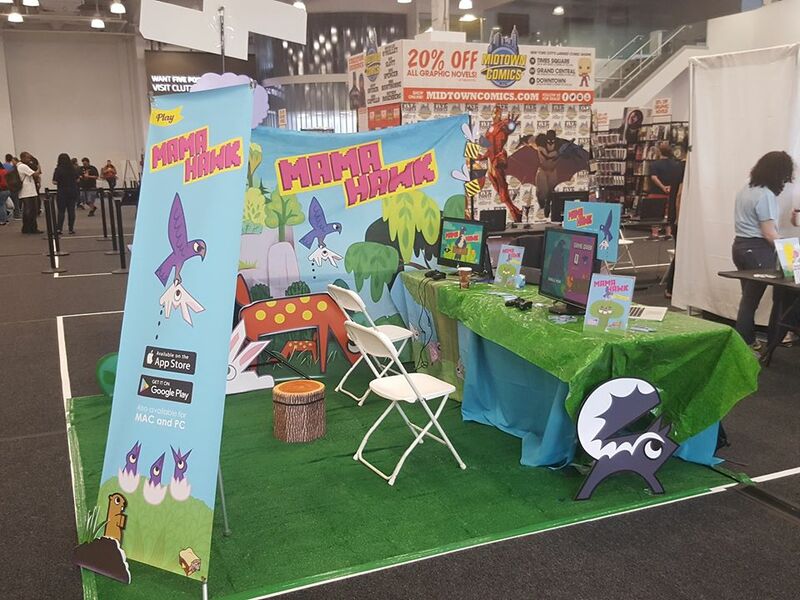 We’ve been working hard on Mama Hawk tweaking the game play and polishing the levels. Right now we are looking at an end of the summer release for Mama Hawk. If you want to join the BETA please email info@computerlunch.com with the title MAMA HAWK BETA TESTER. 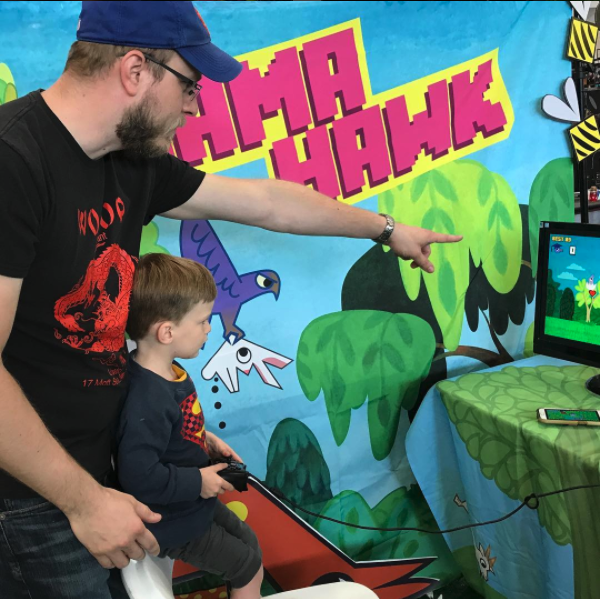 A big thank you to everyone who came by the MAMA HAWK booth at Five Points festival. 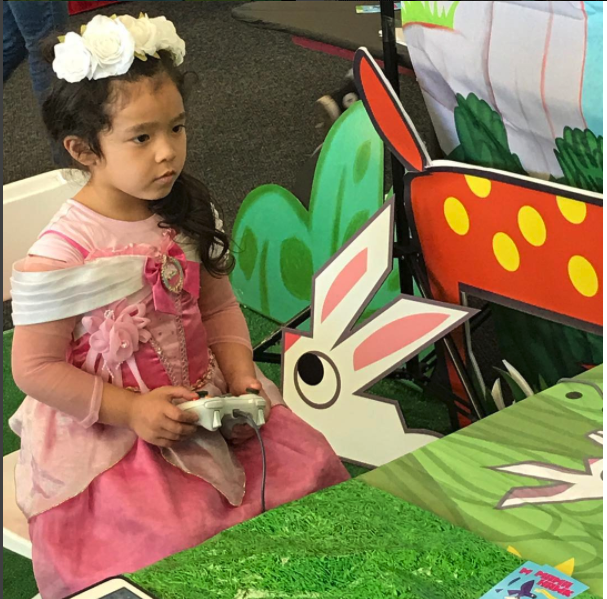 We love watching people playing, and trying to beat each other’s scores. 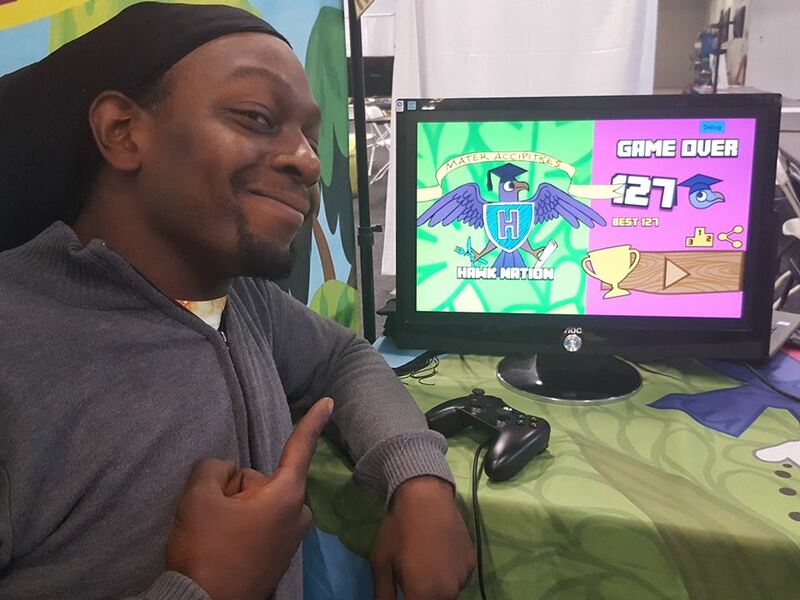 A shoutout to Kurt, who set the bar high with a score of 99 on the new arcade version and 127 on the classic version. 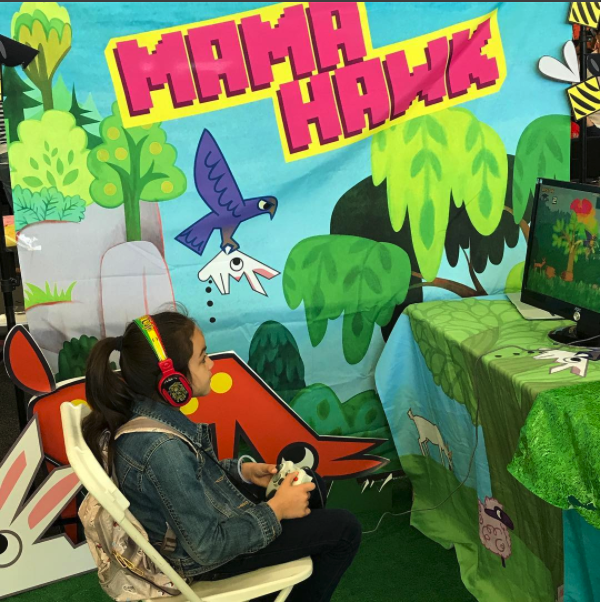 ComputerLunch is launching Mama Hawk ( For Android, iOS and PC/MAC) at PAX East 2017 in Boston from March 10th-12th. If you are attending please stop by our booth. 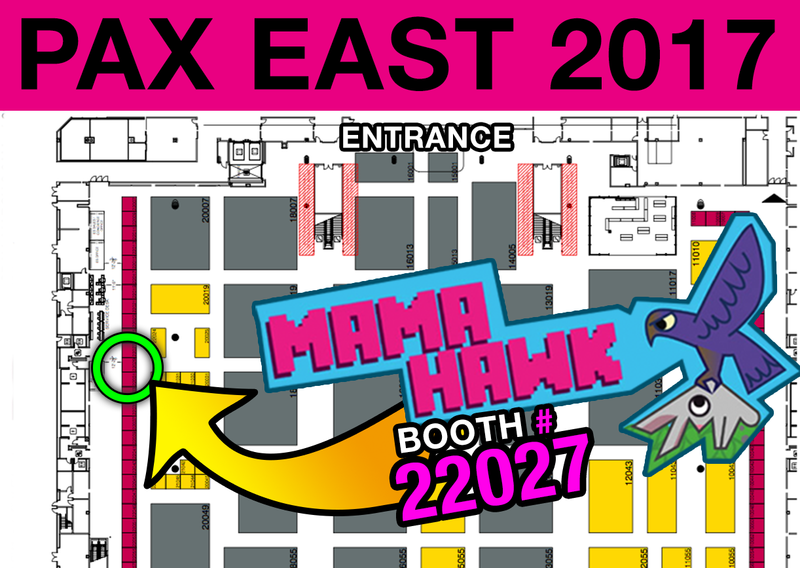 The Mama Hawk will be at BOOTH# 22027 Location on PAX East floor. We are near the front escalators, then walking to the Right Side. More info soon about the launch details.